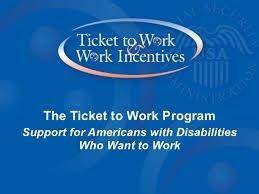 L. Riggs and Associates, Inc.
Time For Change is a DC Department of Employment Services, DC Department of Disability Services and Social Security Administration agency. We are apart of Ticket to Work, so assign your ticket to us. These are just SOME of the partners that support Time For Change in the capacity of providing employment and career training for individuals who seek services from Time For Change. Please look them up and check them out!